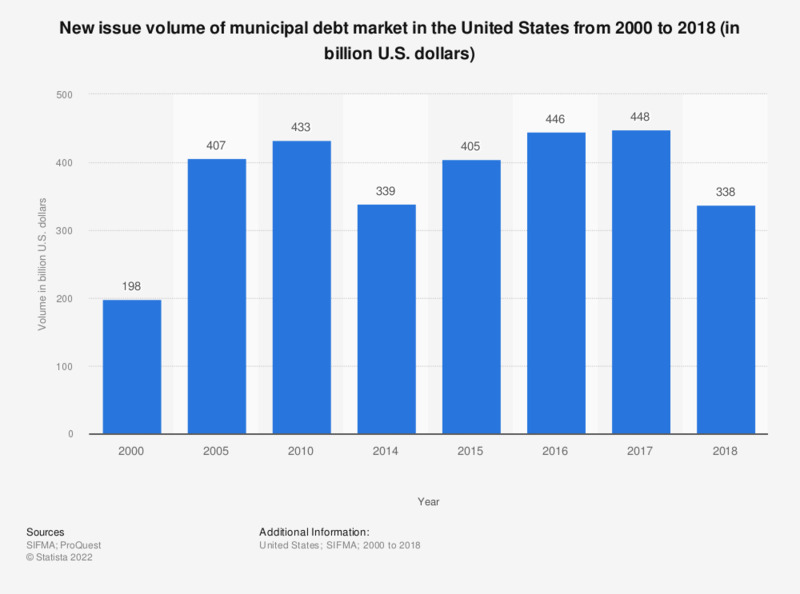 This statistic presents the new issue volume of the municipal debt market of the United States from 2000 to 2017. In 2017, the new issue volume of the municipal debt market of the United States was 448 billion U.S. dollars. Covers debt markets as represented by the source. Covers only long term insurance.